The plant struggled in the late 1990's financially. To help keep the plant alive, it sold part of the plant to Gopher State Ethanol and it became the nations first urban ethanol processing plant. Those of you in the Ethanol business are familiar with the foul oder it can produce. As you can image, the neighborhood was full of complaints. In reality, having an ethanol process plant in a neighborhood turn into a very bad idea. 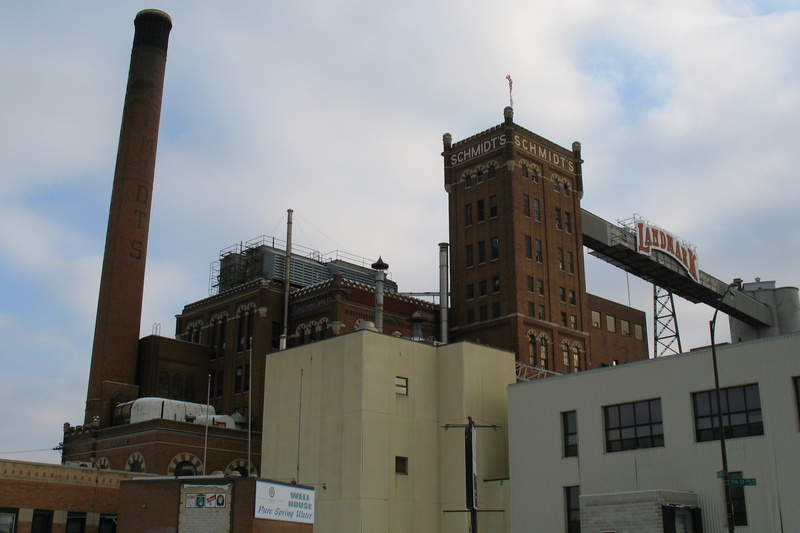 In 2002, beer production unfortunately ended at the Schmidt Brewery. The bitter smell continued to stink up the neighborhood. In May of 2004, the ethanol side of things closed for good, not due to the complaints and many court battles that lasted for years. It was closed do to financial reasoning. Now the plant sits vacant. Though in doing some research tonight, I'm reading the plant may have been sold for 7.5 million and parts of the plant will be reconstructed in to art studio's and perhaps more. It would be nice to see the castle like structure that has stood in St Paul for 150 years to live on versus being torn down.